Franklin Stone Siding | Franklin Stone Veneer Siding | Franklin Veneer Siding | Franklin Stone Siding Contractor | Franklin Boulder Creek SidingMcGlinch & Sons CO. Highest quality engineered stone materials. As a result, any time Farmington homeowners are looking for the absolute best stone siding contractor to assist them with their stone siding endeavor, McGlinch & Sons is the only name they would want to remember! Farmington, Michigan is in Oakland County with roughly 79,800 residents. Farmington Hills is home to McGlinch & Sons, Co. Home Improvements and is situated over three miles northeast of Farmington. 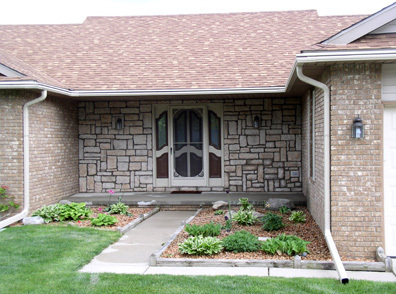 We are highly regarded for offering our clientele in Farmington with the most efficient stone veneer siding services they would like to have at a price they can pay for. Farmington citizens also understand that whenever they opt for McGlinch & Sons, they will receive the most courteous and ethical team of specialists in the business! Our professionals not only will strive to satisfy the expectations of our Canto clients for exquisite stone veneer siding, but we will most likely beyond them! Moreover, McGlinch & Sons is renowned for consistently going that additional mile and handling customers like their relatives. Every one of the Boulder Creek Siding products are handmade in the United States, and they possess a number of the most skilled stone siding craftsman in the industry. Additionally, if you have been a life-long customer of McGlinch & Sons, or you are a completely new client, we are thrilled about the opportunity to ensure that you turn into one of our “happy customers!” For more information about our remarkable stone veneer siding, get in touch with McGlinch & Sons, Co. Home Improvements, at: Oakland: (248) 987-6300, East Side: (586) 776-8912 or West Side: (313) 278-2777, today, and don’t forget to ask us about obtaining your FREE estimate.